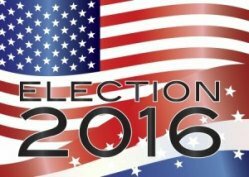 by Gary Bauer, Contributing Author: Debate Night - No, not tonight. On Sunday night, Donald Trump and Hillary Clinton will meet for their second televised national debate. This event will be a town hall forum held at Washington University in St. Louis, Missouri. Half of the questions will come from undecided voters chosen by the Gallup Organization. The forum will be moderated by Martha Raddatz of ABC News and Anderson Cooper of CNN. Tune in Sunday night at 9:00 p.m. ET. Job Growth Flat - The economy added 156,000 jobs last month. That's good news for the folks who got those jobs. But make no mistake about it, my friends, that is bad news for America. The unemployment rate ticked up to 5%. And as the Associated Press noted, economic growth is stalling: "Job growth has averaged 178,000 a month so far this year, down from last year's pace of 229,000." Obama's economic malaise helps to explain why so many working-class Americans are eager to vote for Donald Trump. This economy just isn't growing enough to provide for working and middle class families. They know we are on the wrong track and they know we need to change course. But in this election, Hillary Clinton represents the status quo, more of the same -- more scandals and more left-wing Obama policies. To restore our hope, we need real change. To get America's economy growing again, we need to elect Trump/Pence! More Clinton Corruption - Hillary Clinton's national security scandal isn't going away. Almost every day, there are new revelations about the extent of her corruption. For example, the Wall Street Journal reports that newly released emails show that top Hillary Clinton staffers and top officials at the State Department and the White House were coordinating to "crush" any news about Hillary's private server. But that is not nearly as shocking as the revelation that two boxes of Hillary's printed emails simply vanished. According to Fox News, a State Department employee told FBI investigators that his office was instructed to pick up 14 boxes of emails at the office of Hillary Clinton's lawyer. But when they arrived to collect them, there were only 12 boxes of emails. Moreover, emails from the beginning of her term as secretary of state were missing. Just to refresh your memory, a laptop containing a complete archive of Hillary's emails was lost in the mail. Other laptops recovered from her staff were destroyed under orders by the Justice Department. And Hillary's personal devices were destroyed with hammers. There was once a president who was forced to resign in disgrace over 18 minutes of missing audio tape. The bottom line in this case is clear as day: Hillary Clinton engaged in the comprehensive destruction of evidence spanning the course of multiple investigations. Yet she has a 50/50 chance of becoming president! Encouraging News - Donald Trump has been pummeled 24/7 for over a year. He has also taken more than a few knives in the back from folks who were supposed to be in his corner. Big Media is doing its best to bolster Hillary Clinton by saying that Trump has to hit a home run in Sunday night's debate or the election is over. I disagree. She, not Donald Trump, is the professional politician, the experienced debater. Moreover, her campaign is suffering from a serious enthusiasm gap. A new poll released today by a left-leaning firm finds Hillary is winning 54% of Millennial voters. That may not sound bad for Hillary, but in 2012, Obama won 67% of Millennials! Crowd size is not by itself a predictor of electoral success, but it shouldn't be ignored. Trump's crowds are, well, "YUGE," while Hillary's are embarrassingly small. Among key left-wing constituencies, Democrats are having a hard time ginning up excitement for her. Just consider this headline from The Atlantic: "For Young Voters, Hope And Change is Dead." Trump volunteers have knocked on more than two million doors. GOP voter registration in Nevada is up 12,720. GOP voter registration in Iowa is up 38,913. Democrat absentee ballot requests are way down. GOP voter registration in North Carolina is up 173,785. GOP voter registration in Pennsylvania is up 223,552. GOP voter registration in Florida is up by 261,715. Republicans also have a lead in absentee ballot requests as well. My friends, keep praying and keep working! This election is far from over. Find one voter and bring them our way. Don't waste your time with die-hard liberals. Start with your family members, especially children and grandchildren. This MUST be a change election. America needs to change course on the economy, on terrorism, on national security and on the rule of law. On all of those issues, Hillary Clinton will continue the status quo and her corruption will only make things worse. Are You Registered? - Voter registration deadlines in many states are just days away! In fact, two state deadlines are tomorrow. Please make sure you and all your friends and family members are registered to vote. Please don't delay. Tags: Gary Bauer, Campaign for Working Families, Debate Night, Economy Stalling, More Corruption, Encouraging News To share or post to your site, click on "Post Link". Please mention / link to the ARRA News Service. and "Like" Facebook Page - Thanks! Thanks Gary, I needed that shot in the arm. The race is so dirty and diabolical now, that it is easy to lose heart. I will vote for Trump as well as my wife and three sons.